Upon my oby gyn’s recommendation after a regular check up last Friday, I had a sonogram. The technician’s name was Lark. I could tell that she was measuring the length of something. I’m no doctor but when I got up out of the stirrups and looked at the screen, I could definitely see that I had some kind of cyst. So, yesterday, after biking down to NPR to contribute to an interview about Chris’s Endgame project for RadioLab, I biked to teach my last Creative Exploration class. I was in the back of the middle school auditorium at 5:15, when I saw that I’d gotten a message from my gyno Dr. Beth Simon. The message said, “You need a blood test and MRI.” My Creative Explorers’ performance was over and so I snuck out of the auditorium and left her a message to please call. We talked by phone 20 minutes later. She said, the cyst was 4cm and part solid/part liquid, which is the kind they do not like to see. “There’s a chance it’s benign. There’s a chance it’s malignant.” She was direct and unflinching. She also said, “I was really on my game to feel that your uterus had gotten a little bigger.” I have to say that I loved her confidence and her possible early detection of something in me that is not so good, ovarian cancer. So, this morning, before driving upstate, I am running back uptown for a a CA-125 blood test. If the number is elevated, then that’s not so good. I debated about blogging about this, because I am unsure of the outcome and I am a little scared. But I process things through writing. 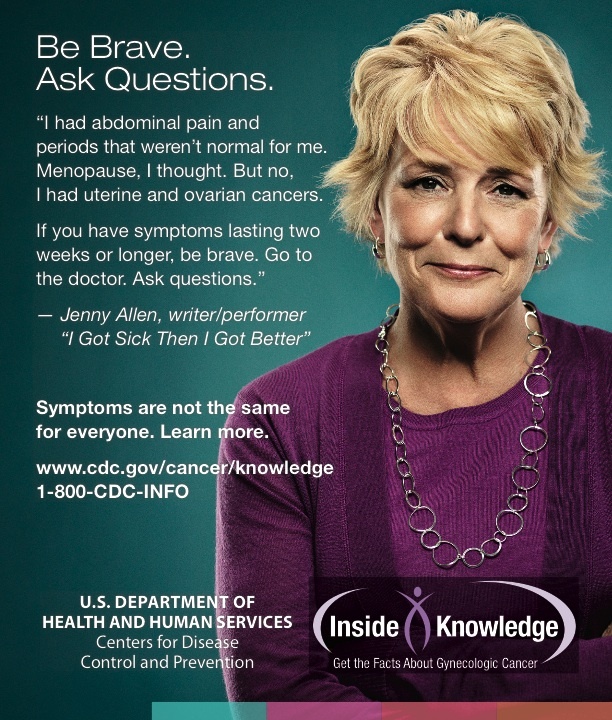 And my friend Jenny Allen wrote a play about her ovarian cancer, I Got Sick Then I Got Better. And also after seeing Chris Clavelli’s play this week, it seems the more we talk and write about the tough stuff, the less hard it is. I started praying the second I finished reading what you wrote. Please call or text me (know you are rushing to leave) as soon as you are able. Love ya! Thank you for blogging about it. It isn’t your job to do so, but it is your gift to so many that make this a part of our daily conversation. Wishing for the best outcome. You are brave and an inspiration to us all. You are in my prayers Mary Beth. I will continue to keep you in my prayers until I know that face of yours is smiling again. Thank you for doing what you do — and especially for that last line. Prayers coming your way. Sending you light and love and health and peace and prayers. Much love. I wish you the very best and am sorry you have to deal with it. I understand your fears having recently lost someone close to me. Damn! You’ve got the right stuff to write about this…and you’ve got the right stuff to deal with the outcome. The unknown is hard to handle. Soldier on, Mary Beth, and know there are many people in your corner. Mary Beth, you are so brave and yet so eloquent. Sending so many prayers and awaiting good news on the CA-125.